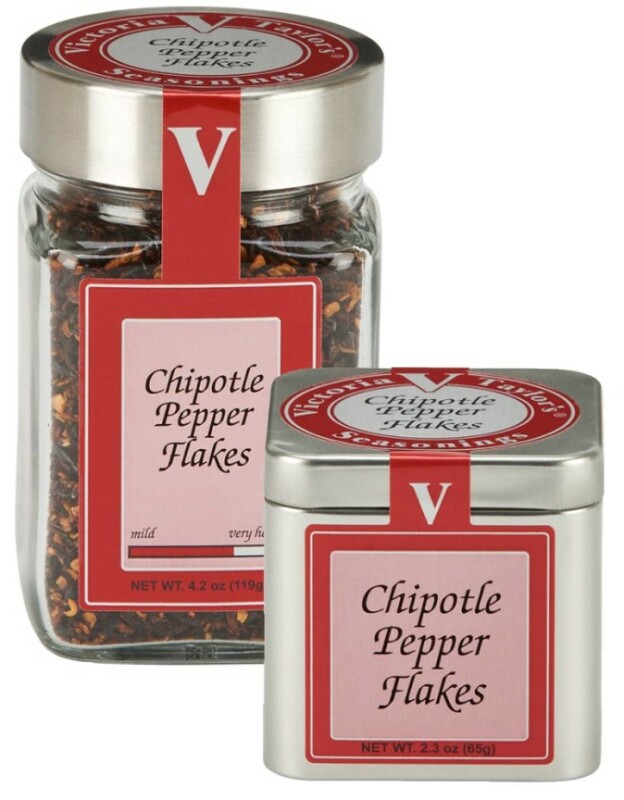 For those of us that love the signature flavor of chipotle peppers, Victoria Taylor's Chipotle Pepper Flakes are a dream come true. Chipotles are smoked jalapenos, with a heat ranking of 7 out of 10. Imagine the flavor impact of smoky chipotle peppers in your favorite spicy dishes. Add to chili, pizza, Mexican dishes, soups, marinades or dips. Victoria says that a tablespoon of her Chipotle Pepper Flakes added to cheese fondue yields an amazingly satisfying flavor.